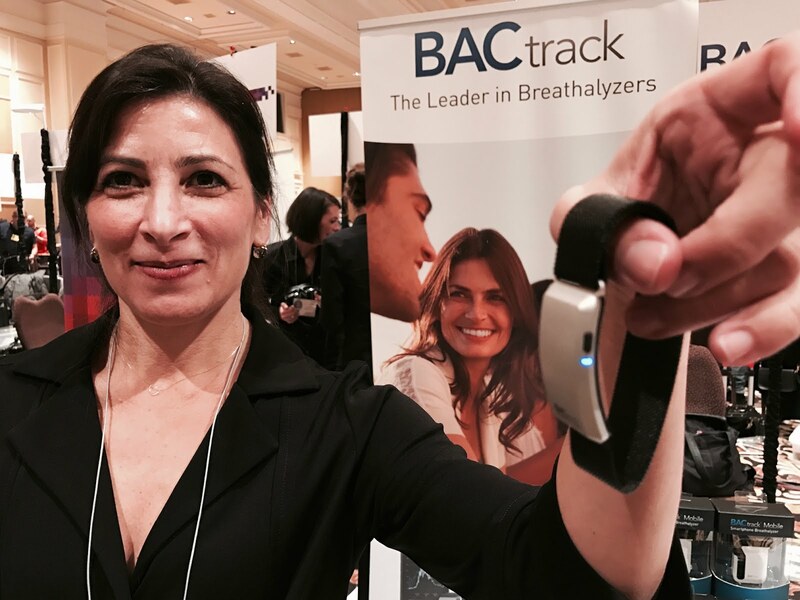 The BACtrack bracelet shown last night at Pepcom's Digital Experience checks your skin and tells you how much alcohol is in your system. Yes, it can literally sniff the booze oozing from your pores and display for you (or your companion) to monitor on an app. There more at the BACtrack website.